Black Friday – another trend that has come over to us from the USA. BUT that should not bother you as a customer. 😉 We have set up 250 different special offers for you online. So look quickly in the special offers in Modellbau-König.de-Shop. Please also note the new filter options offered on the right. 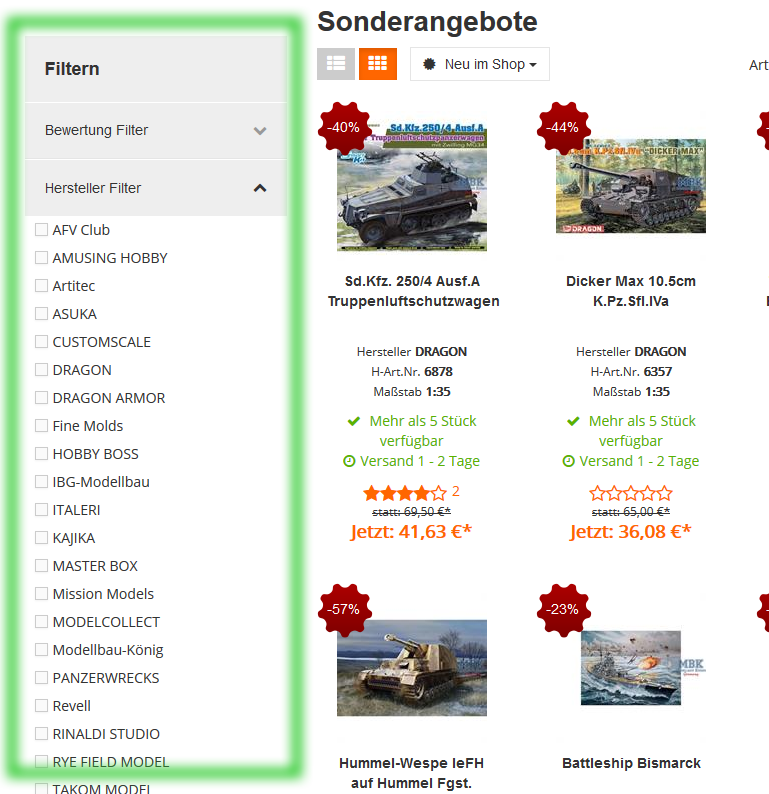 If you’re in the shop with your smartphone or tablet, you’ll find the filters above, next to the category name. Just click on the button „Show Filter“. You can also combine different filters, for example, to search for all the products of a manufacturer, on a specific scale. By the way, the filters work in the entire shop. The offers are valid from Friday, the 23.11.2018. The special prices are only valid as long as the forecast reaches. These items may already be sold out during the first offer day due to limited stock.